METRIN Skincare is celebrating 85 years of a truly incredible product. Nearly a century ago, a chemist with skin issues of his own, Dr. George C. Runnels, developed a natural process for treating everyday skin problems. What he developed would eventually become METRIN‘s skincare system. Once the system was finally formulated in 1932, I don’t imagine Dr. Runnels ever dreamed that METRIN would become what it is today! The company was eventually purchased in the late ’70s by long-time user Macil Sumpter. Macil soon turned it into the international empire it is today. And all that for a company now based out of Vancouver? I am, as always, impressed. 2017 marks 85 years of METRIN’s five-step skincare system, a product I have become rather fond of since discovering it. Even my mom has all five beautiful bottles lined up in her bathroom! 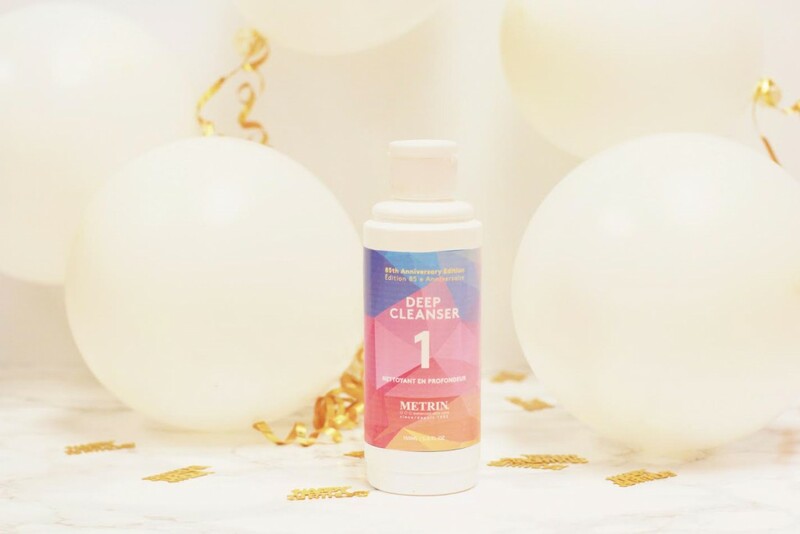 To celebrate this milestone, METRIN has designed an exclusive anniversary bottle of Step 1, the Deep Cleanser. With its colourful motif, I was instantly smitten. Want to get your hands on one of these bottles – and the whole set? METRIN has offered a discount code for the Black Friday long weekend, exclusive to my readers. Enter coupon code Keira15 to save $15 off your purchase of METRIN’s five-step skincare system. Act fast because when this weekend is over, the discount will disappear! From November 25th – 28th, METRIN’s Black Friday sale is your chance to stock up on the product at one of their biggest sales of the year. Finally, and most importantly, please join me in wishing METRIN (and their rad customer service team – seriously!) a very Happy Birthday! This post was sponsored by METRIN Skincare; however, the views and opinions are entirely my own.